Hit a mini-milestone tonight! I finally reached 100 followers on TPT! I'm having huge sale to celebrate! 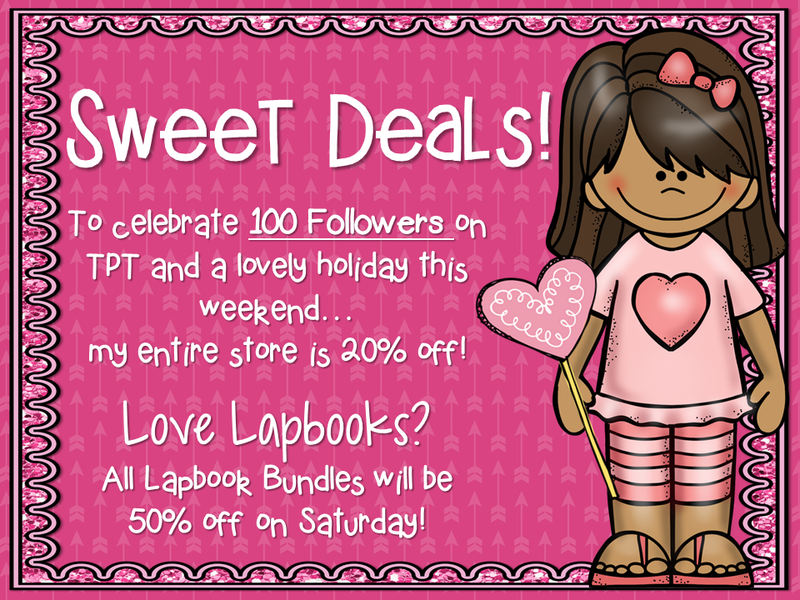 My entire TPT store will be 20% off all single items all weekend and 50% off all lapbook bundles on Saturday! Enjoy your guilt- free-carb-free Valentine's Day treat!